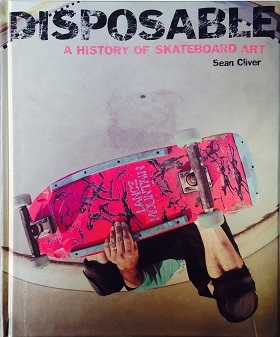 With the release of Disposable: A History of Skateboard Art in 2004, author Sean Cliver made a brilliant attempt at artfully cataloging every important skateboard deck ever released. 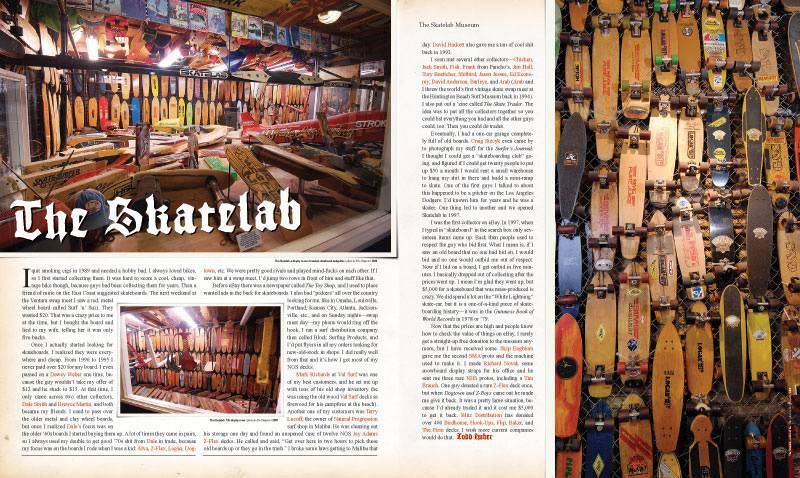 In the process, he created a classic, but was left feeling less than satisfied. 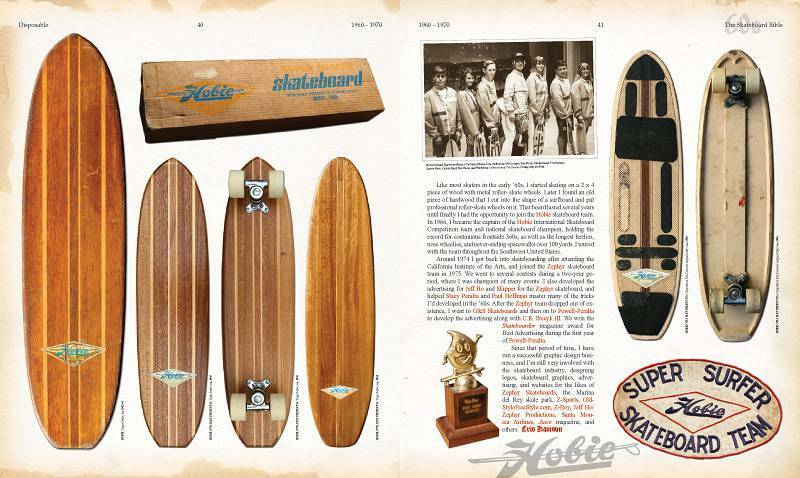 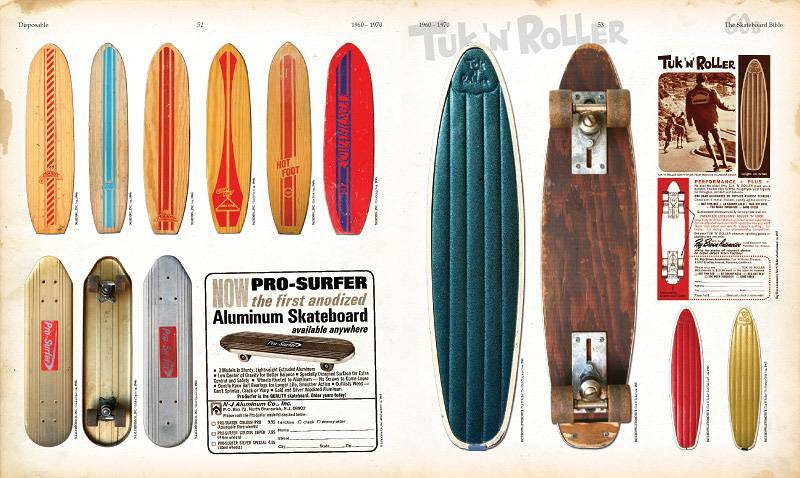 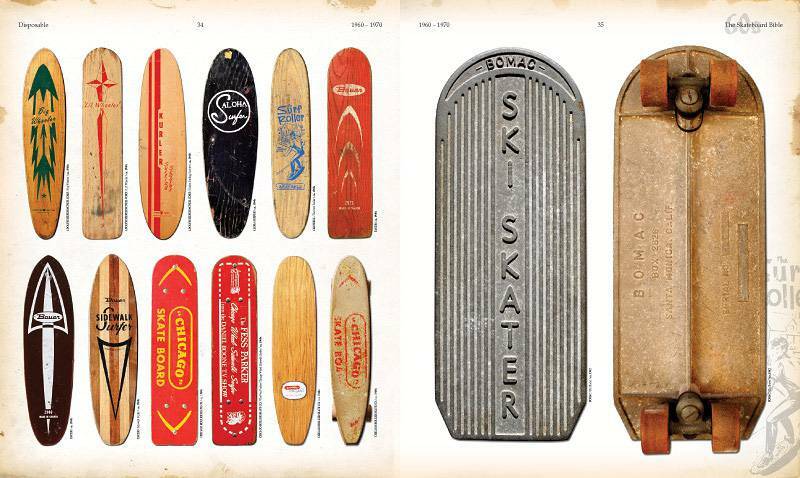 Ever the completist, the gaping omissions in the first book gnawed at him and drove him to envision compiling the ultimate encyclopedia of Skateboard decks. 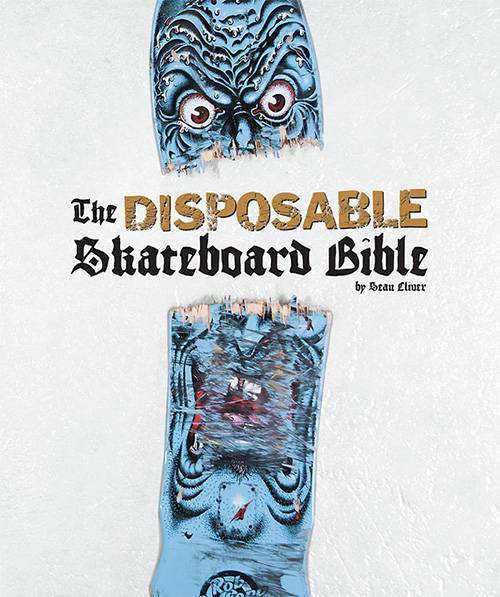 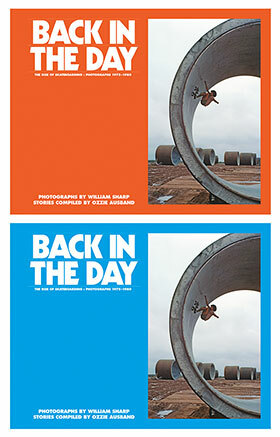 While Disposable: A History of Skateboard Art was beautiful, capturing the essence of the aesthetic, The Disposable Skateboard Bible sets out to be the ultimate guide. 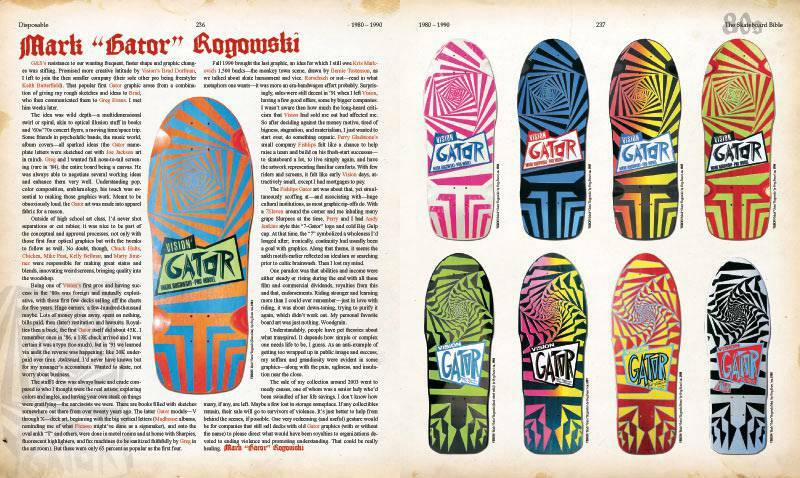 The author’s industry insider status (mesmerized by his first visit to a skate shop in 1986 he went all out and in 1989, landed his first job as a designer at Powell-Peralta) allows him to guide readers through the culture and experience, the art and the mania of the skate world with authority and expertise. 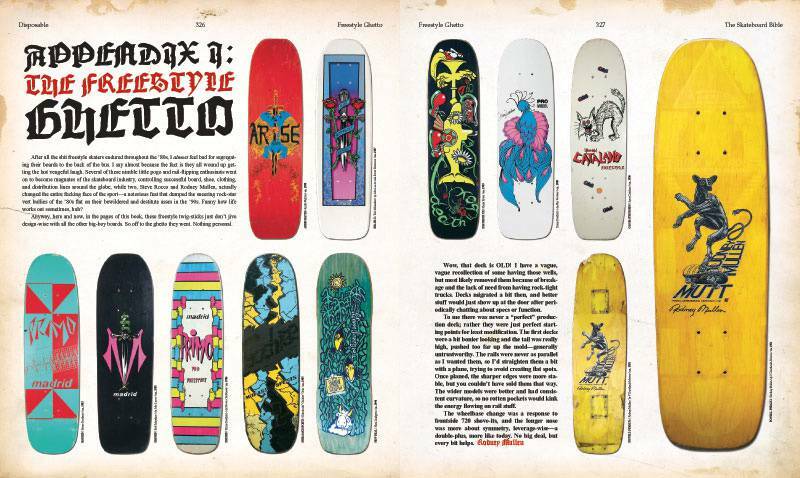 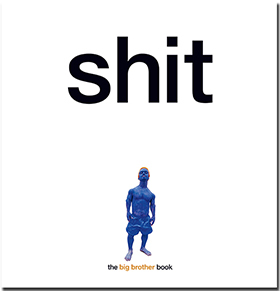 As the boards take center stage, fascinating vignettes and recollections by an A-list of skateboarding personalities from Tony Hawk to Mike Vallely, Mark Gonzales to Mark “Gator” Rogowski, Steve Caballero to Stacy Peralta and more, complete the book.